* Travel dates Jun 04-Jul 04. Fares updated on: 4/22/2019 at 4:31 AM. Fares are round trip. Fares incl. all fuel surcharges, our service fees and taxes. Displayed fares are based on historical data, are subject to change and cannot be guaranteed at the time of booking. The coastal city of Fort Lauderdale in the State of Florida is renowned world over as the “Venice of America” because of its extensive network of canals. Popular for its gorgeous beaches and boats, the port city of Fort Lauderdale has also earned the nickname as the “Yachting Capital of the World”. The calm and soothing environment here makes this magnificent city an ideal getaway for those looking for a laid back holiday. There are other reasons to visit Fort Lauderdale as well. 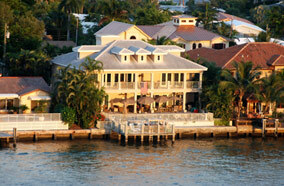 It is among the top spring break destinations in the United States. Fort Lauderdale is a perfect paradise for all those looking for plenty of fun on its splendid beaches in the sun amid an atmosphere that is quiet and relaxed. 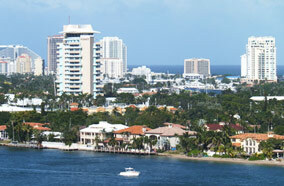 Fort Lauderdale can be easily reached from Baltimore. It takes flights from Fort Lauderdale International Airport (FLL) approximately 1 hour 52 minutes to reach at Baltimore/Washington International Thurgood Marshall Airport (BWI). The flight distance between the two cities is 925 miles. Nonstop flights operated by AirTran Airways, US Airways, American Airlines and Delta Air Lines provide seamless connectivity between the two cities. 34% of all flights from Baltimore, MD to Fort Lauderdale arrive during afternoon hours. The smallest aircraft flying nonstop from Baltimore, MD to Fort Lauderdale is the Boeing 717-200 with 117 seats. Passengers who are keen to book Cheap Airfares to Fort Lauderdale can get in touch with one our travel experts at Fare Buzz today!